Umpqua Bank did not start out as the epitome of cool banking; it had to work on it. It took a long, hard look at itself in the mirror and gave itself a much-needed fashion makeover. Thanks to a savvy approach to rebranding (or basically creating a new identity), the bank focused on a new mission. It now boasts branches that make young people actually want to come in. Yes, we are talking about the very same millennials everyone thought had abandoned physical banking in favor of the e-kind. Look no further than their website home page to find a key piece of their rebranding efforts. There you find a prominent ticker displaying the total hours Umpqua employees spent volunteering for the community. As countless surveys have reminded us, volunteer work is something dear to many millennials' hearts. This story is probably familiar to most. It begins as a tale of a staid little community bank in small-town Oregon that was tired of finishing last in market share. The bank decided to reinvent itself, basing its new ethos on the retail sector. Redesigned branches to look like minimalistic Apple stores, it staffed up with associates dedicated to customer service. Over time, people started showing up to see what the buzz was about and they stayed to do business. Over the years, Umpqua went from last place to first in its market and then really took off. Assets grew from $144mm in 1994 before the rebranding to $22B today (ok, there have been some acquisitions too along the way, but organic growth has been a key to their underlying success). Umpqua is a rather unique story about a bank that adopted a persona perfectly suited to hip markets in the Pacific Northwest and California, where it wanted to expand. But what Umpqua demonstrates is the power of suggestion: how a rebranding can make customers who never noticed a bank suddenly want to know more about it. Despite the potential benefits of rebranding as shown by this story, some community banks have never refreshed their brands. Demographics are changing, yet many haven't changed their look in decades. Further, many of those that have ventured into rebranding ended up with modest changes like logo redesigns that did little to advance or differentiate their businesses. This is a big missed opportunity for community banks considering the results of the 2015 Consumer Banking Insights Study conducted by Harris. It found 67% of US adults (including 59% of customers of big national banks), would actually prefer to bank at a smaller financial institution. Trust and feeling scammed by higher fees were two of the major concerns cited as the reason for pondering a switch. So how do you know if your bank could benefit from a rebranding? There might be a major event like a merger that requires rebranding to reflect the combined companies. Or, an existing brand may have gotten tired and stale compared to competitors. Or, market share may be slipping as more aggressive and up-to-date brands gain ground. Or, perhaps there is simply a desire to grow and expand that requires a brand that appeals to a wider audience to name a few. Ah, we hear some groans from some already. No, a brand does not make the entirety of the bank and a good logo doesn't need to be changed much probably. That said, effective logos and websites are important, but the real key lies in understanding your customers. Once you have that - you can then determine how your bank can set itself apart from competitors. The brand should stand for something you and your customers mutually believe in. 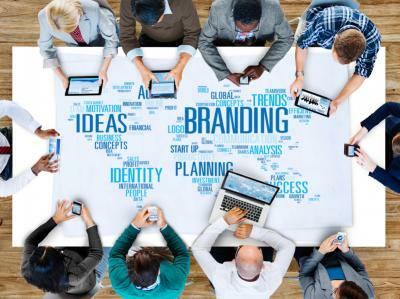 Certainly, a big rebranding can be costly, but it doesn't have to be and when done right it can be a watershed moment for a bank. After all, rebranding efforts can bring a new customer in the door where your personalized service can then kick in. Yields rose 6bp as ECB President Draghi delivered a rate cut and expanded its bond buying program to further stimulate Europe's economy. Fed research on small businesses with less than 500 employees finds: close to half sought out financing in the prior 12 months (47%) and about half did not (53%). The Wall Street Journal reports M&A volumes for companies worldwide reached $4.6T this year; a new record. Research by Business Intelligence that looked at Millennial usage of bank ATMs found: 95% who use ATMs to perform banking activities say they use their banks' in-network ATMs; 72% use out-of-network ATMs less than 10% of the time; 48% who use ATMs report they make three or more visits per month and 33% say they use out-of-network ATMs. Fed research on small businesses with less than 500 employees finds of those companies with 50 or more employees that submitted loan applications in the past 12 months did so with the following number of financial providers: 1 (59%), 2 (18%), 3 or more (23%). A Market Force Information survey finds the top factors consumers say their bank does not do at all are: invest in their financial well being (67%), customize products and services to fit their needs (63%), invest in the community (62%), understand their unique situation and needs (61%), and provide tools to help them save, invest and spend wisely (61%). Research by TransUnion finds 33% of Americans have never checked their credit report. Research by Wasp Barcode Technologies of small businesses finds: the national average for marketing budgets is 10.2%, but 56% of small businesses invest only 3% or less in marketing. Fed research on small businesses with less than 500 employees finds the primary sources applicants tapped when seeking out financing advice were: bankers or lender (73%); accountant, consultant or business advisor (40%); small business development center (29%); family, friends or colleagues (25%) and loan broker (15%).